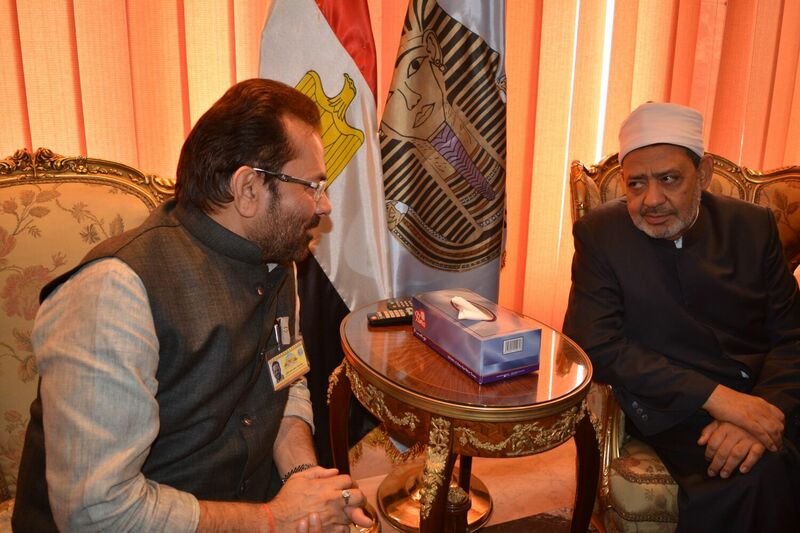 Union Minister of State for Minority Affairs (Independent Charge) & Parliamentary Affairs Shri Mukhtar Abbas Naqvi and Saudi Arabia Ambassador in India Dr Saud Mohammed Alsati today met here and positive discussion was held in detail on various issues related to about 1 lakh 70 thousand Haj pilgrims from India going for Haj 2017. 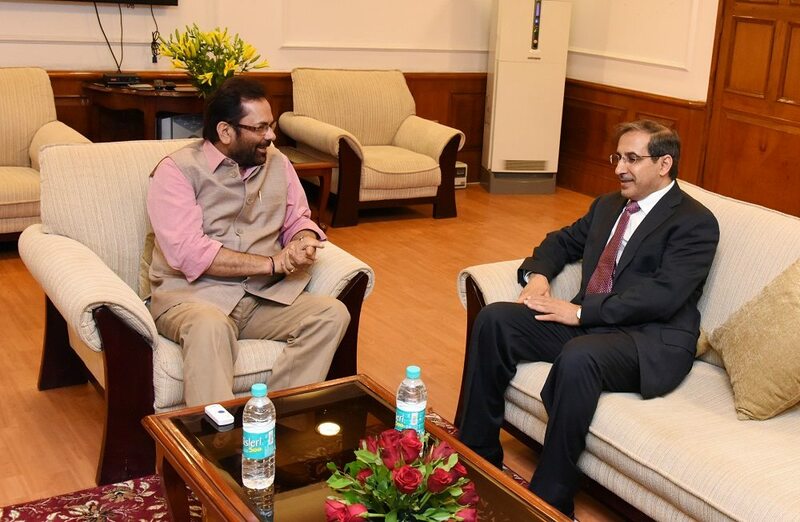 In the meeting, held at Antyodaya Bhawan, Shri Naqvi discussed with the Saudi Arabia Ambassador about facilities for Haj pilgrims from India. 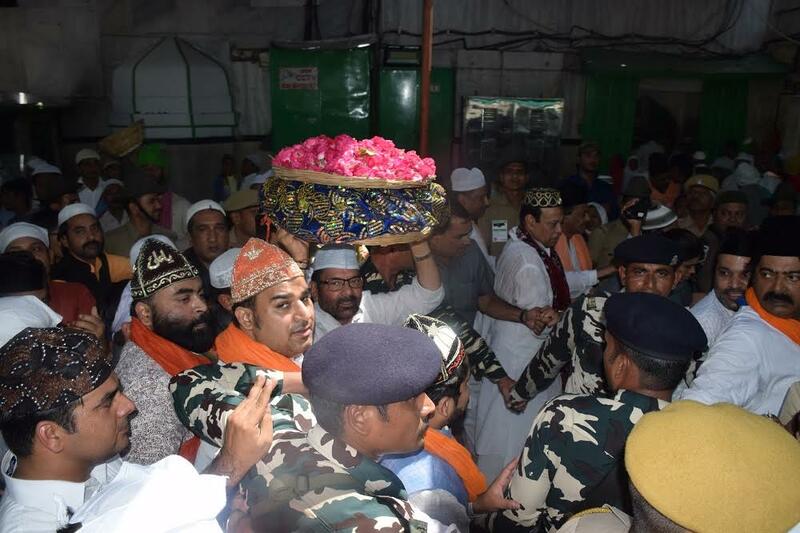 After significant increase in India’s Haj quota by Saudi Arabia Government, a total of 1,70,025 people will go to Haj pilgrimage this year from India out of which 1,25,025 pilgrims will go through Haj Committee of India while 45,000 people will go through Private Tour Operators. 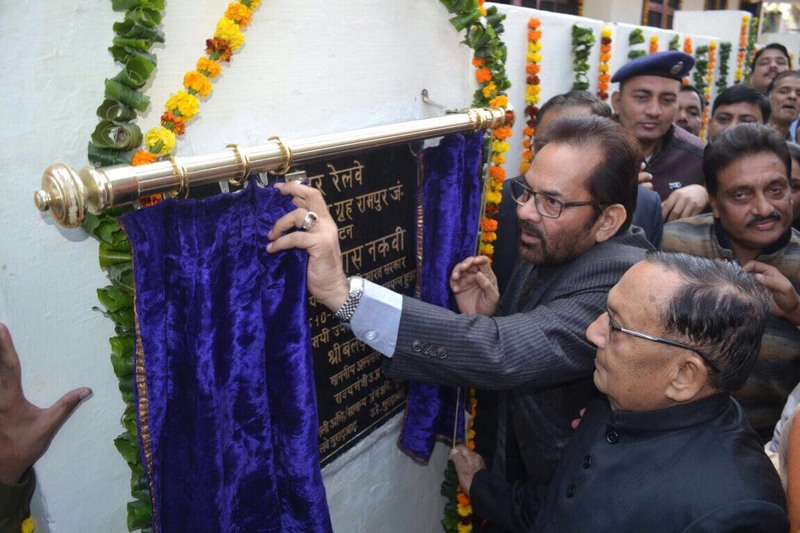 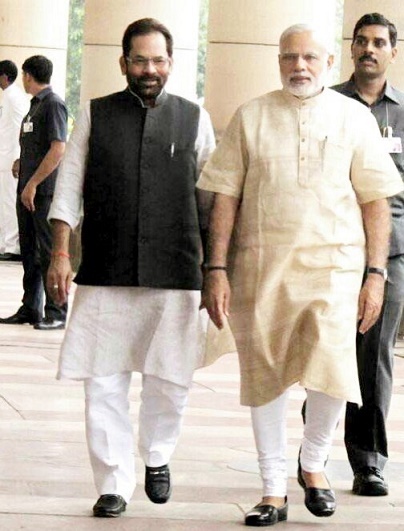 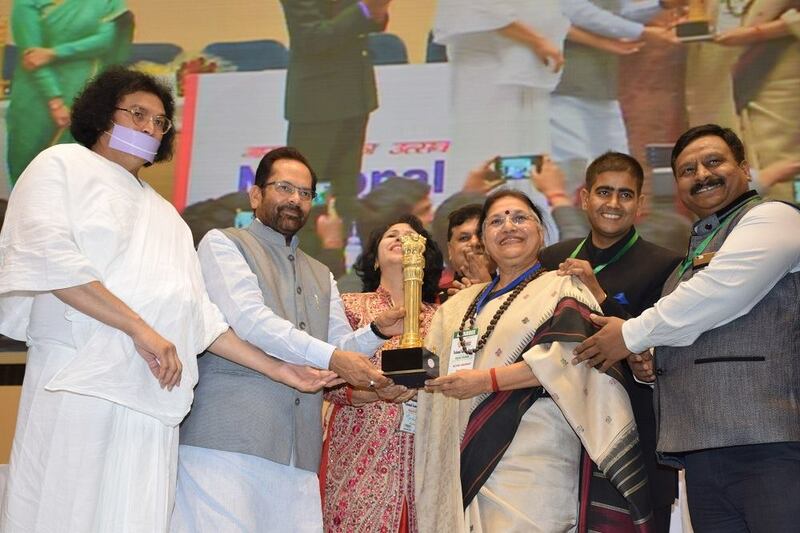 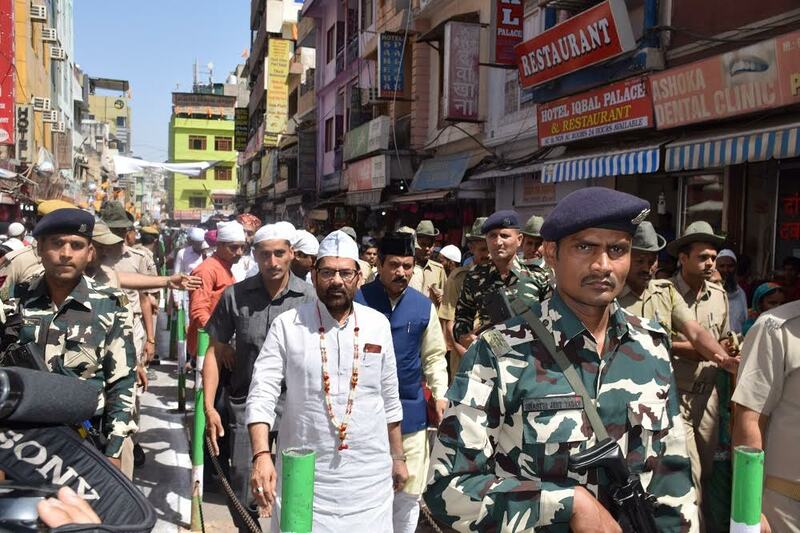 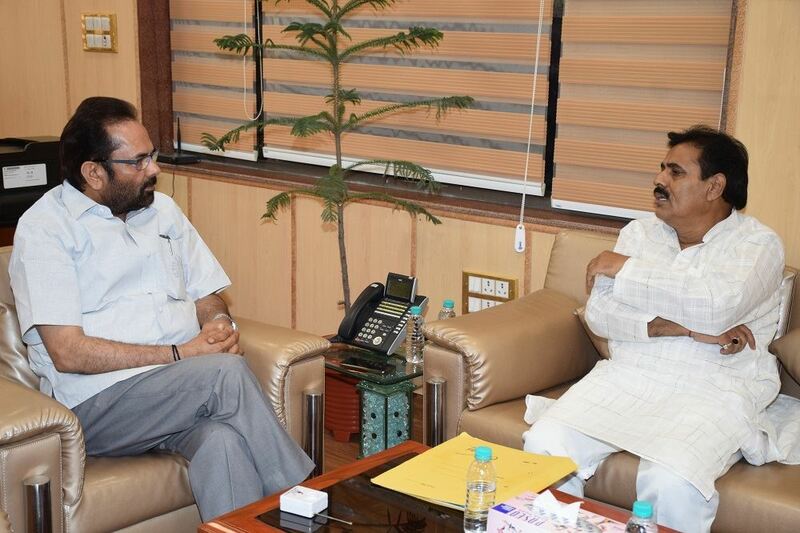 Shri Naqvi said that facilities of Haj pilgrims especially their safety is our top priority. 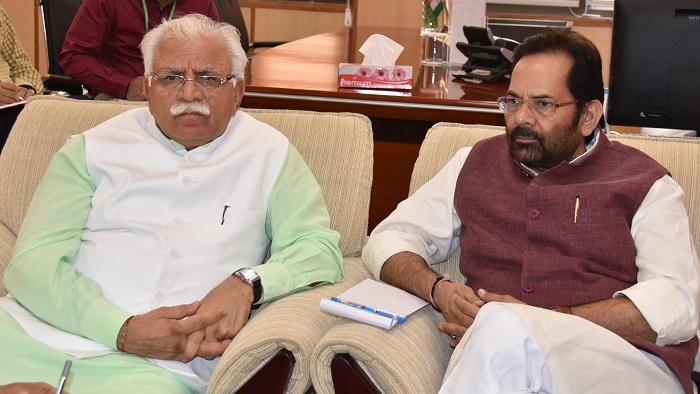 Various issues such as visa process, accommodation and transport facilities for the pilgrims were discussed in the today’s meeting. 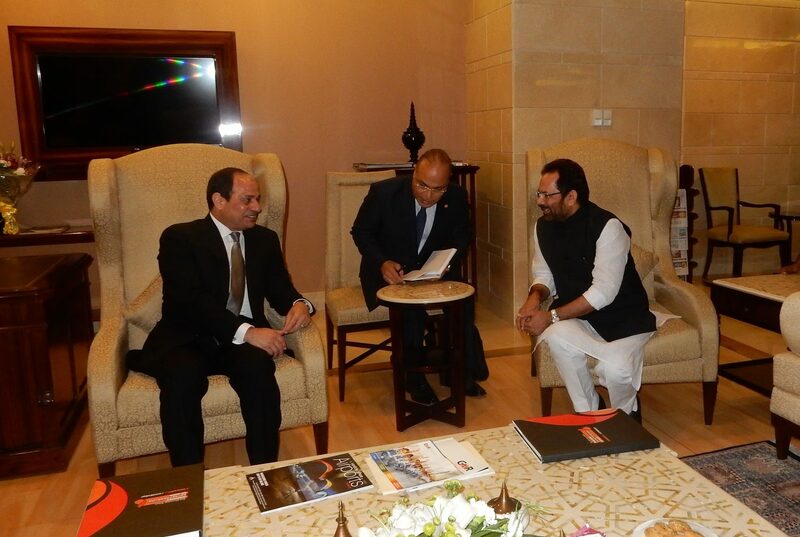 Dr Alsati said the meeting was positive. 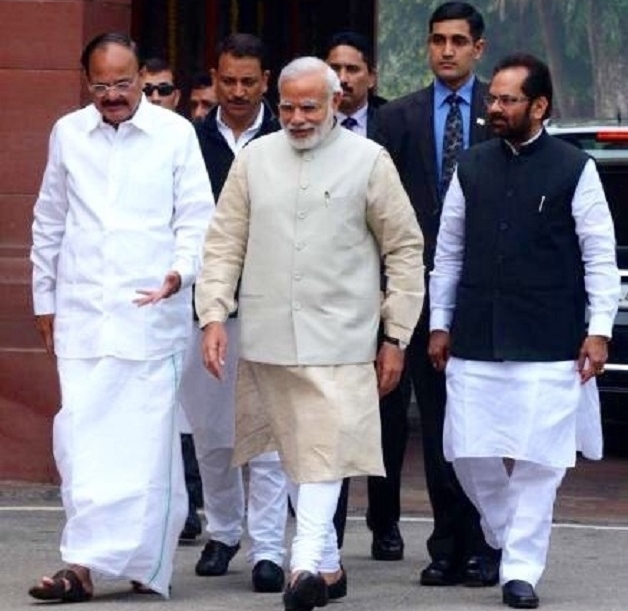 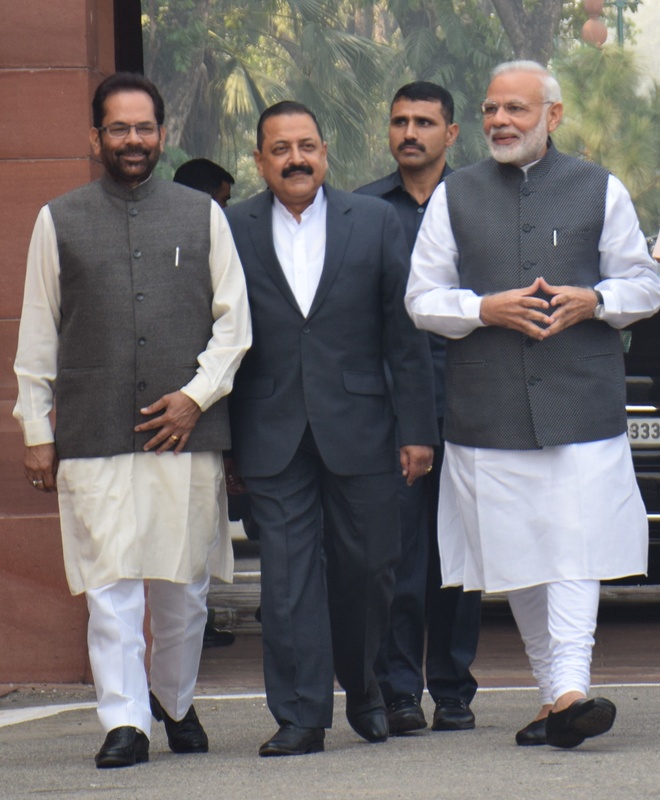 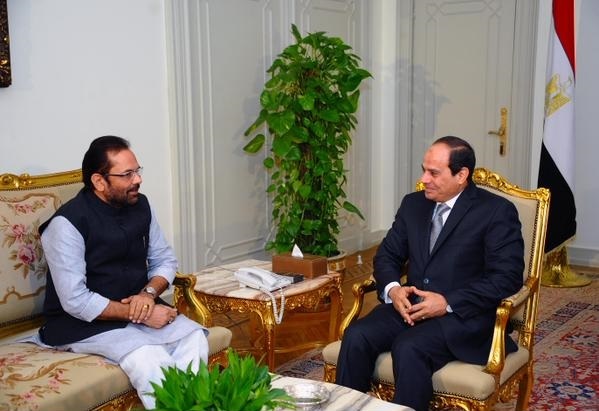 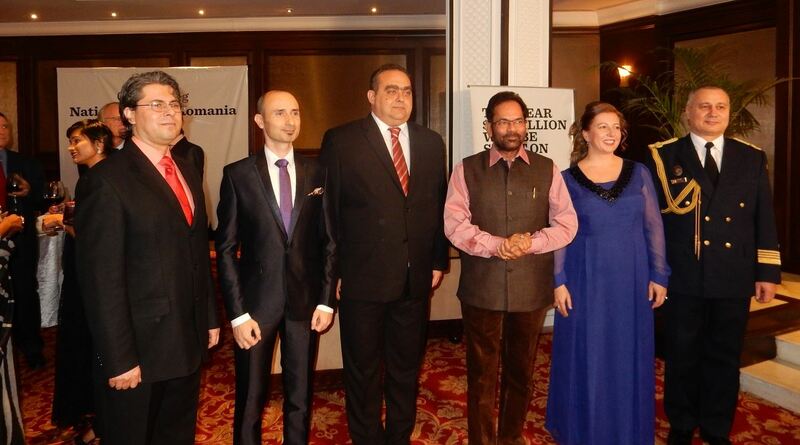 Shri Naqvi said that under the leadership of Prime Minister Shri Narendra Modi, bilateral relations between India and Saudi Arabia have been further strengthened. 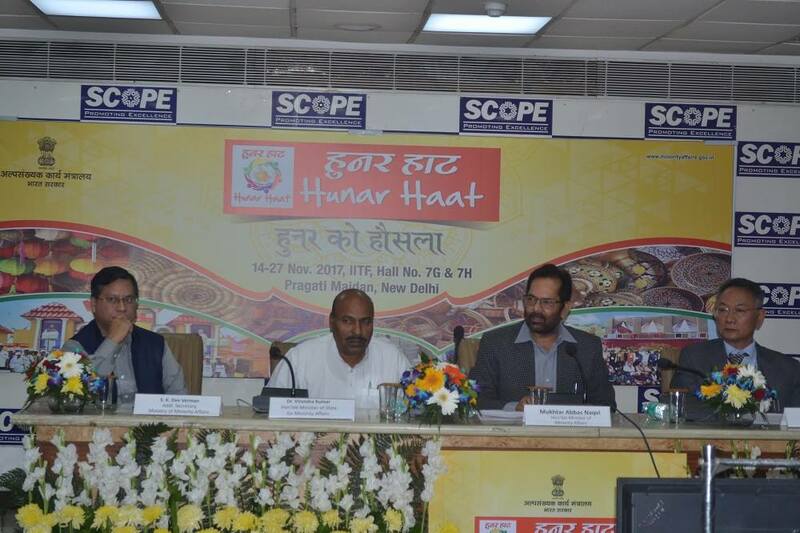 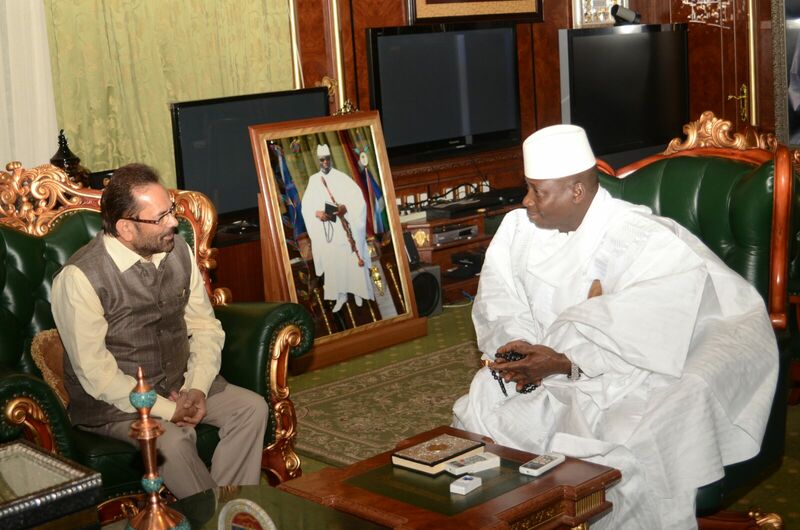 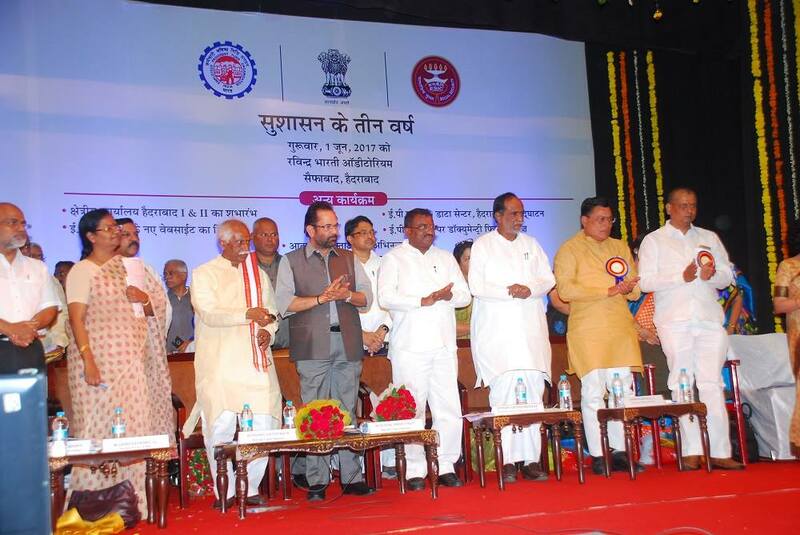 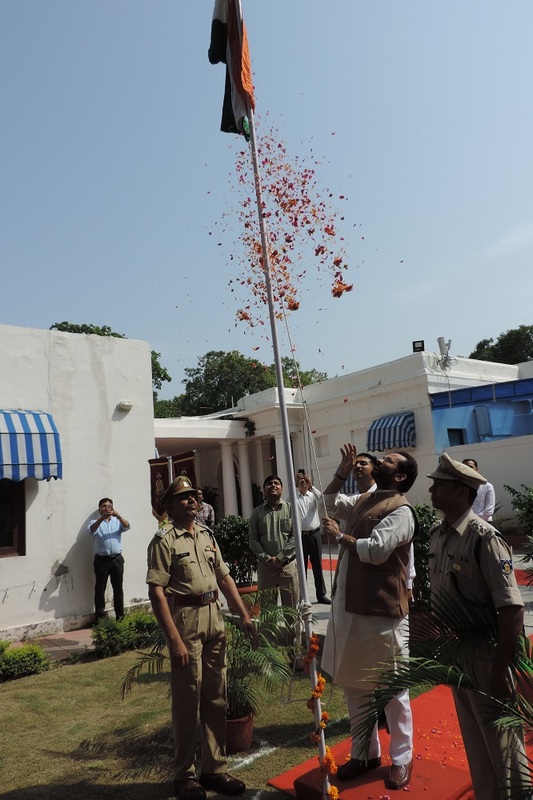 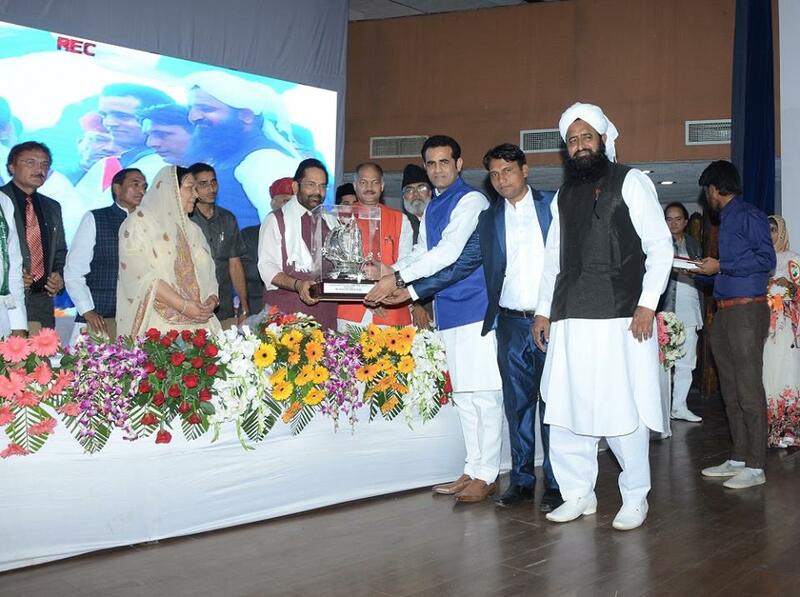 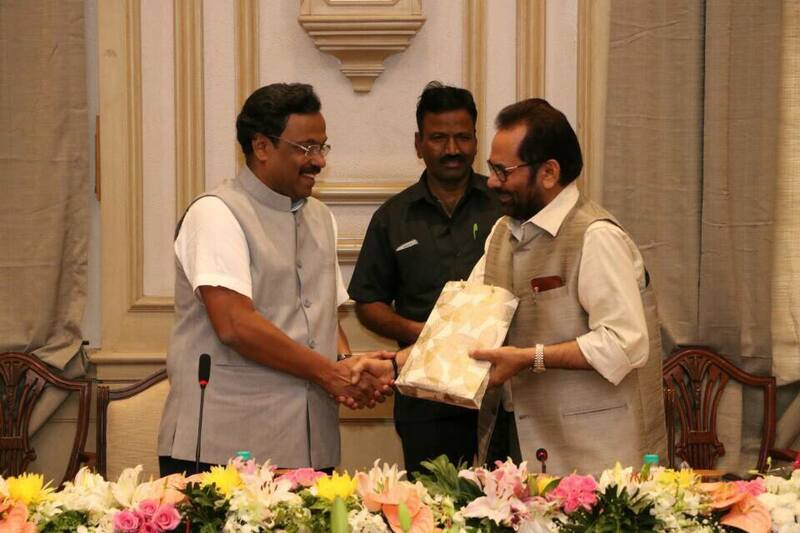 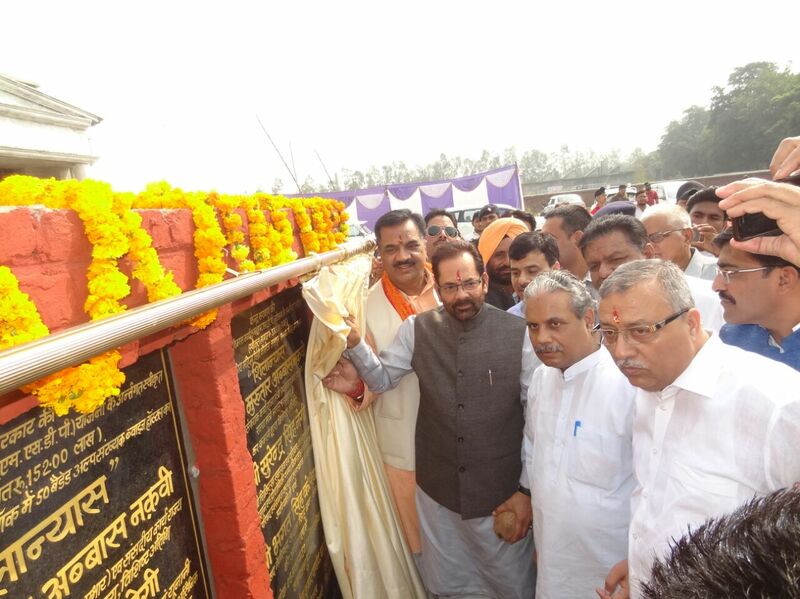 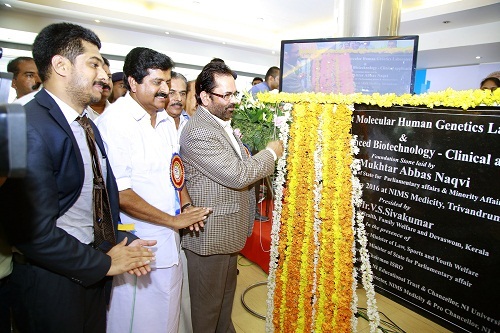 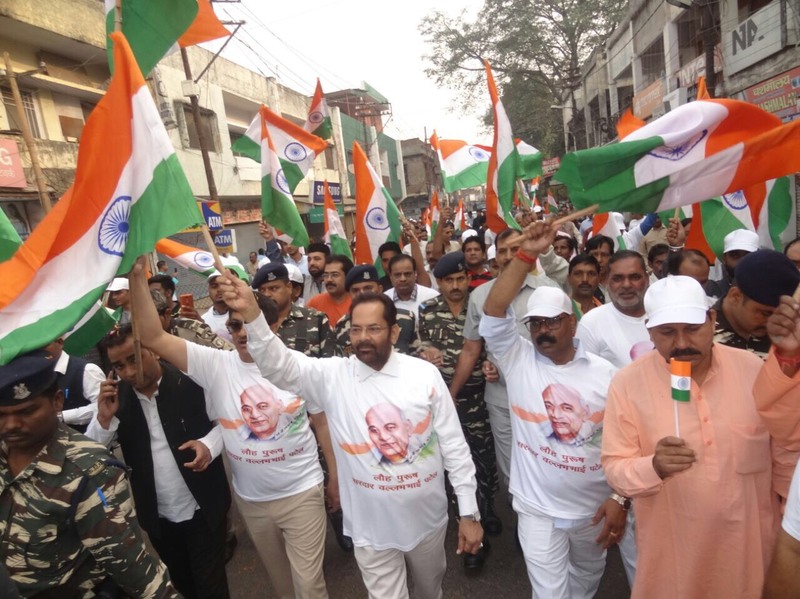 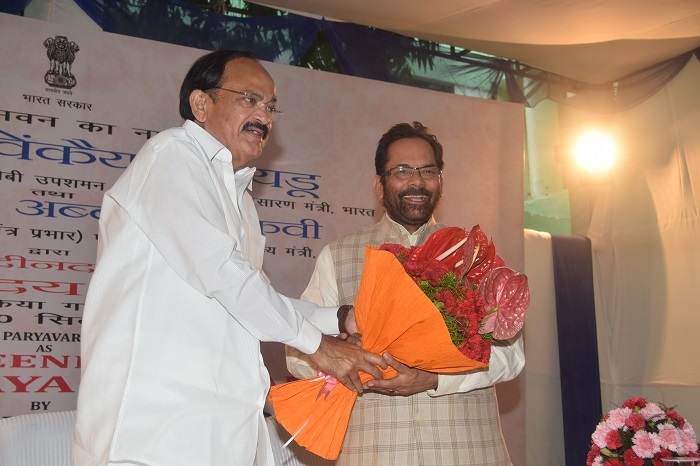 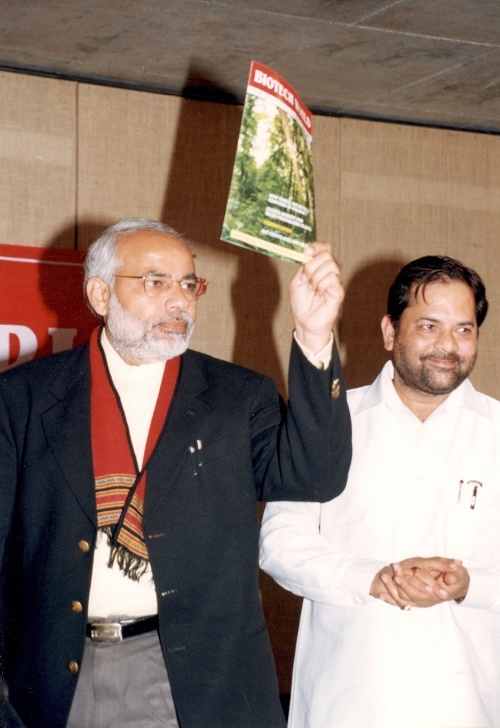 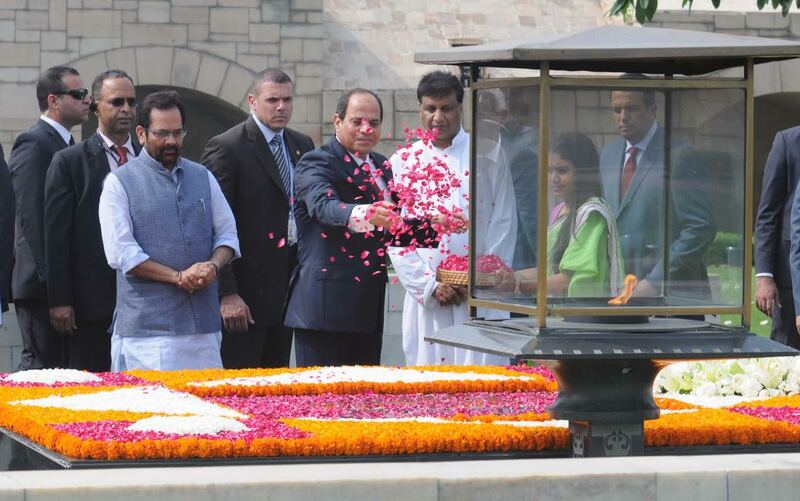 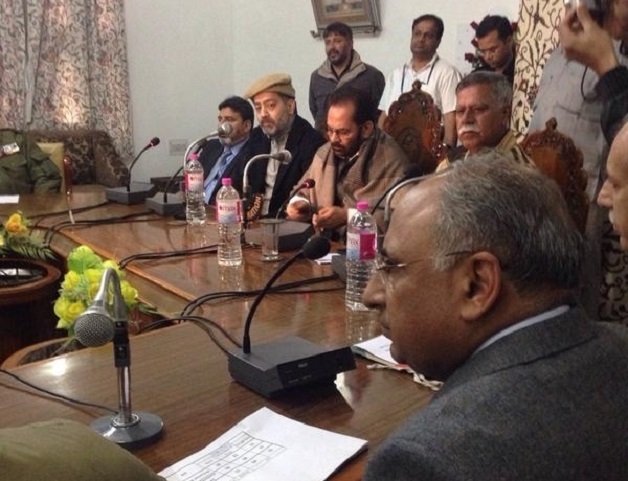 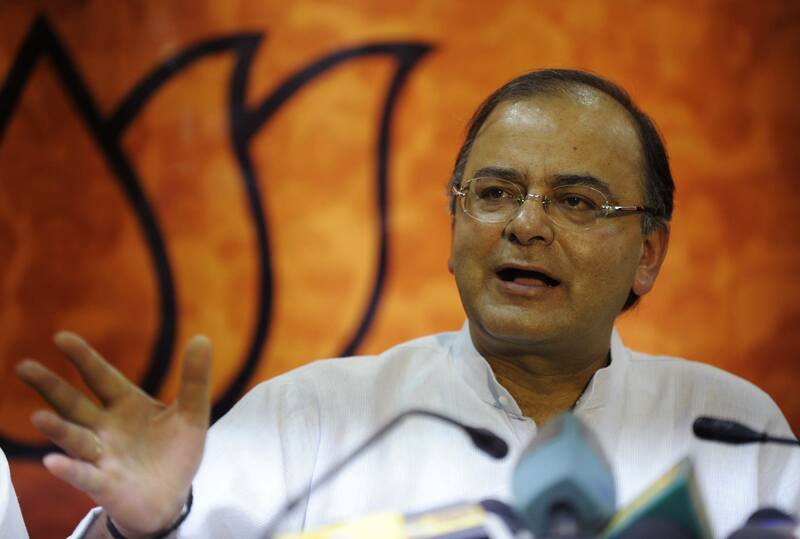 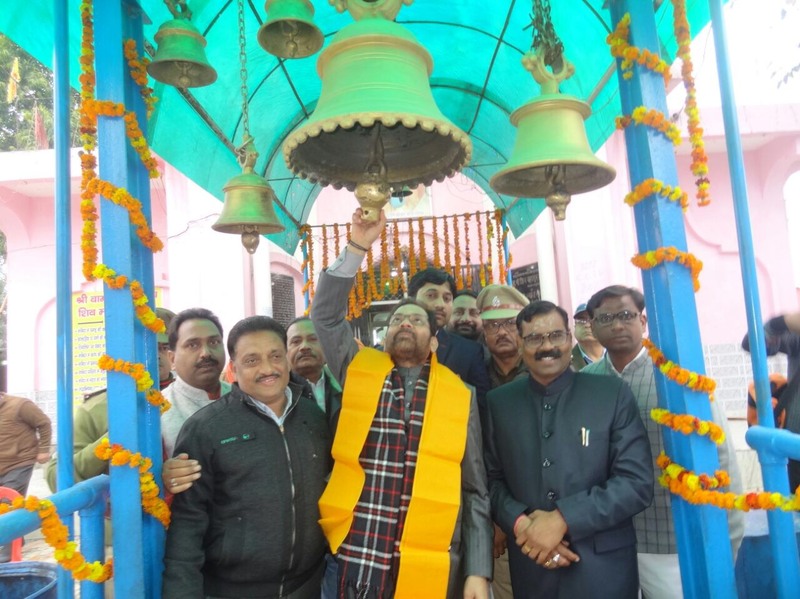 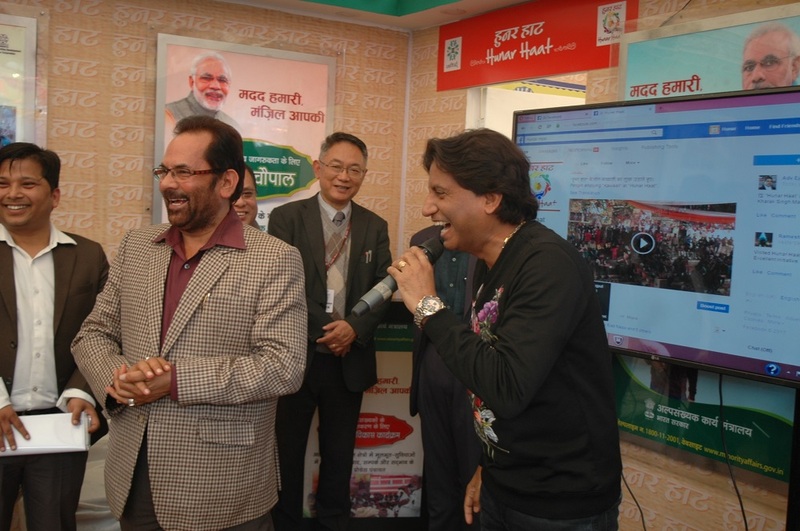 Shri Naqvi said that all the preparations for Haj this year has been completed before time. 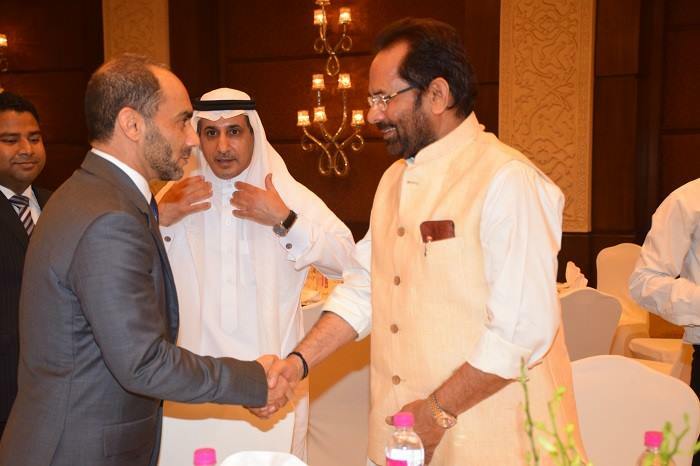 Through Dr Alsati, Shri Naqvi also expressed thanks to the Saudi Arabia Government for increasing India’s annual Haj quota. 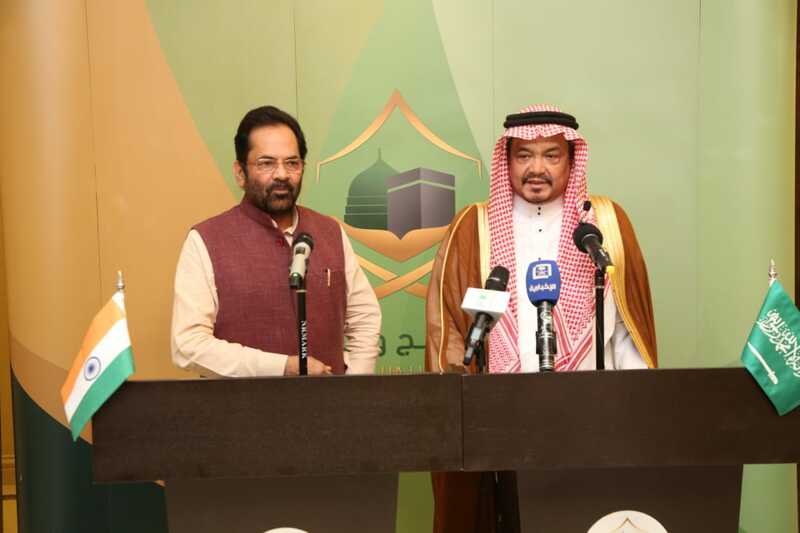 Saudi Arabia has increased annual Haj quota of India by 34,005. 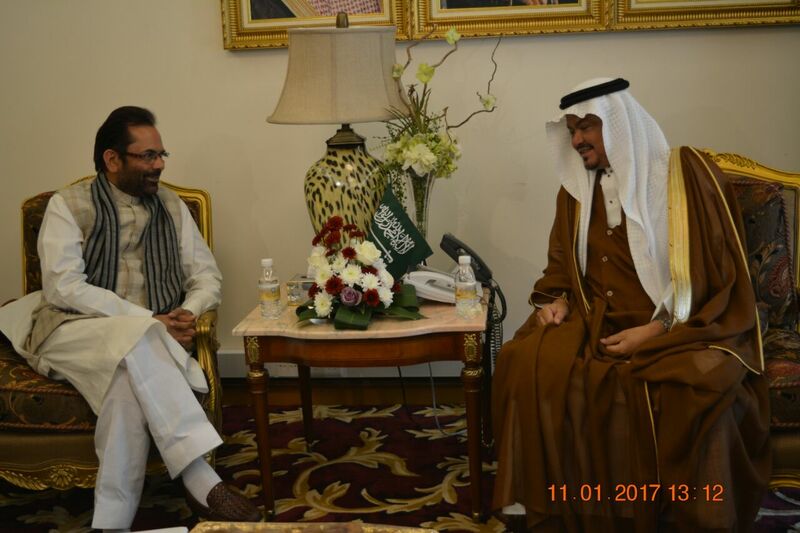 The decision in this regard had been taken during signing of bilateral annual Haj agreement between India and Saudi Arabia at Jeddah on 11th January 2017. 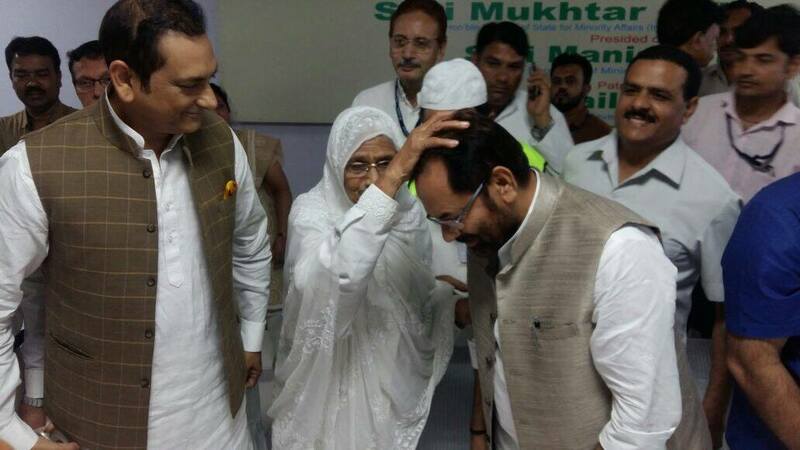 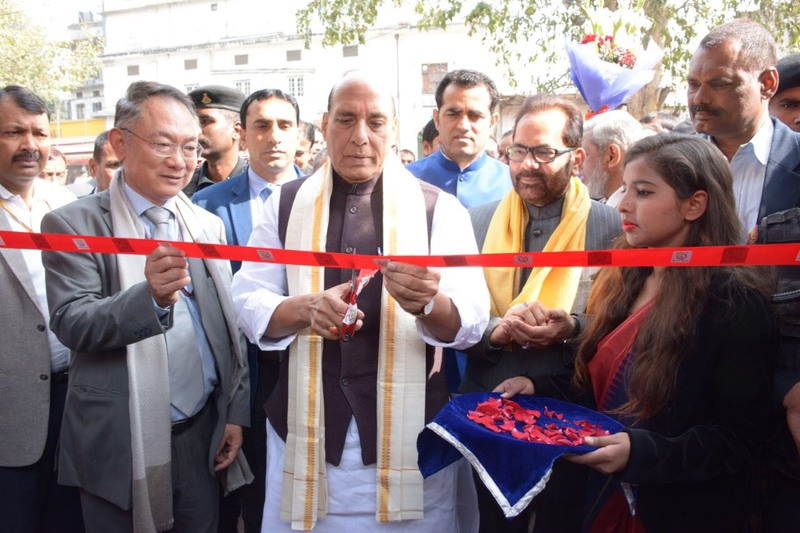 It is the biggest increase in the quota of Haj pilgrims from India after several years. 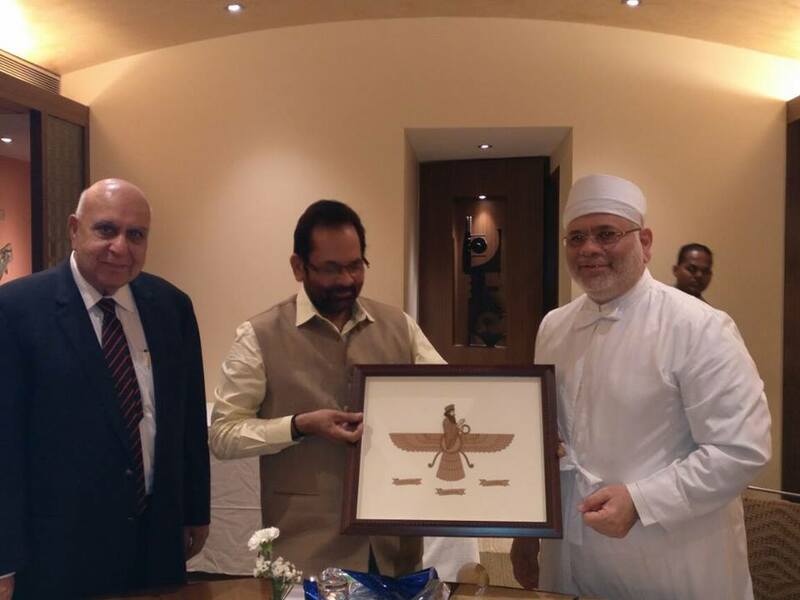 Shri Naqvi also discussed with the Saudi Arabia Government, reviving the option of sending Haj pilgrims through sea route also. 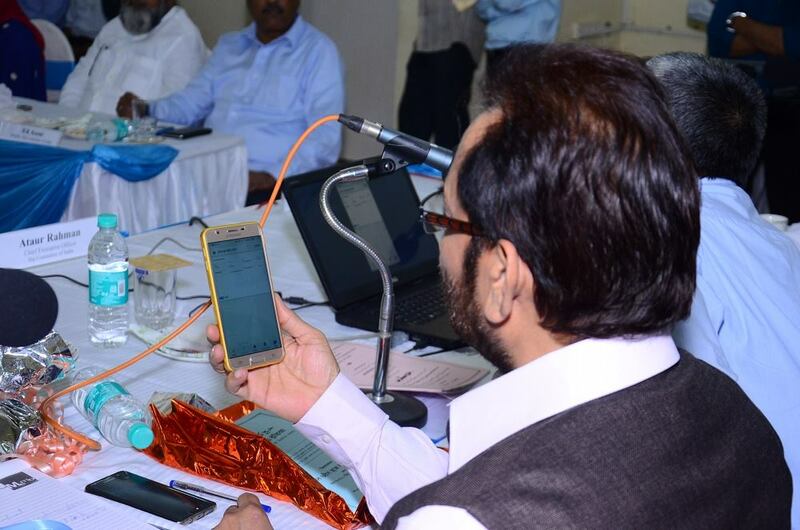 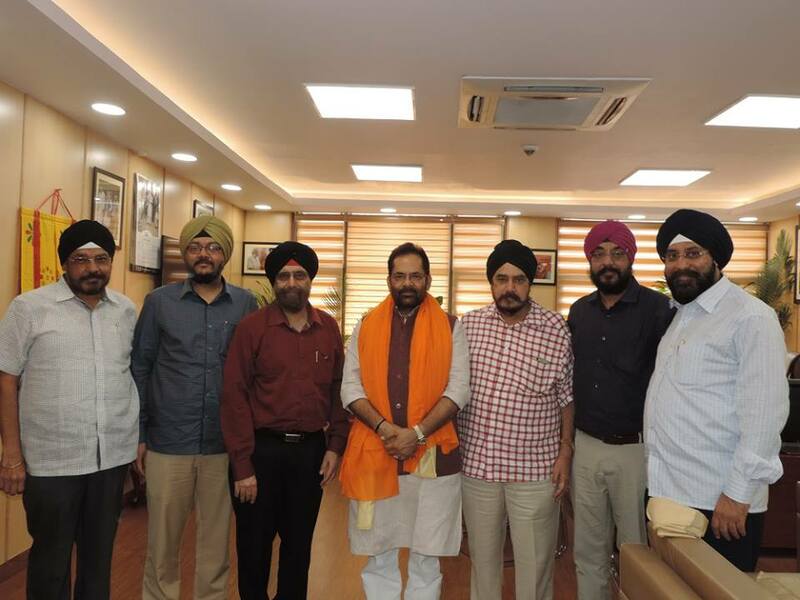 Shri Naqvi said that there is an “active consideration”, in consultation with Shipping Ministry and Saudi Arabia Government, on reviving the option of sending Haj pilgrims via sea route to Jeddah. 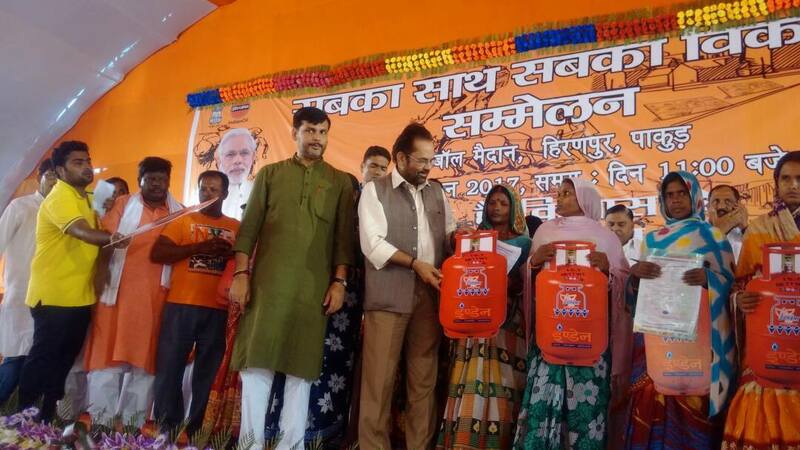 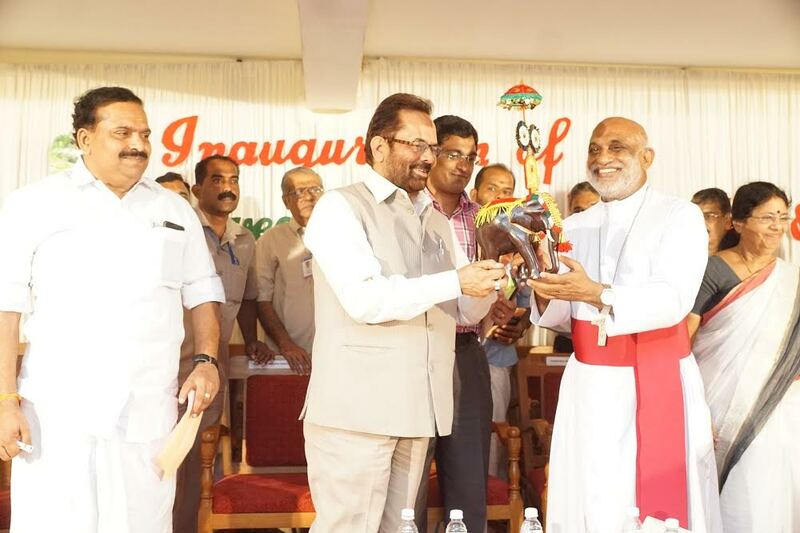 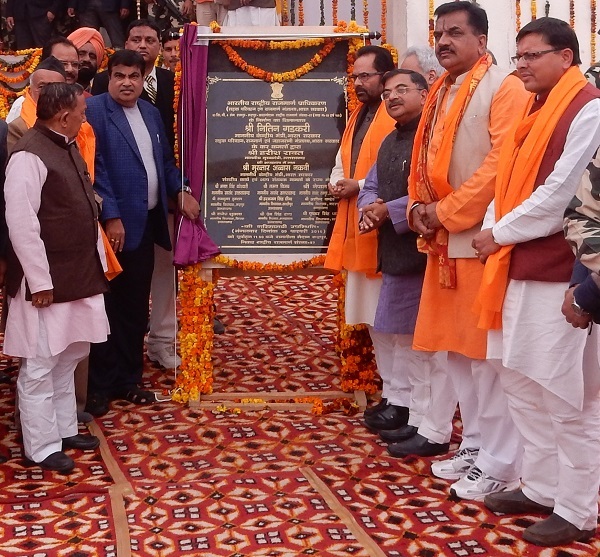 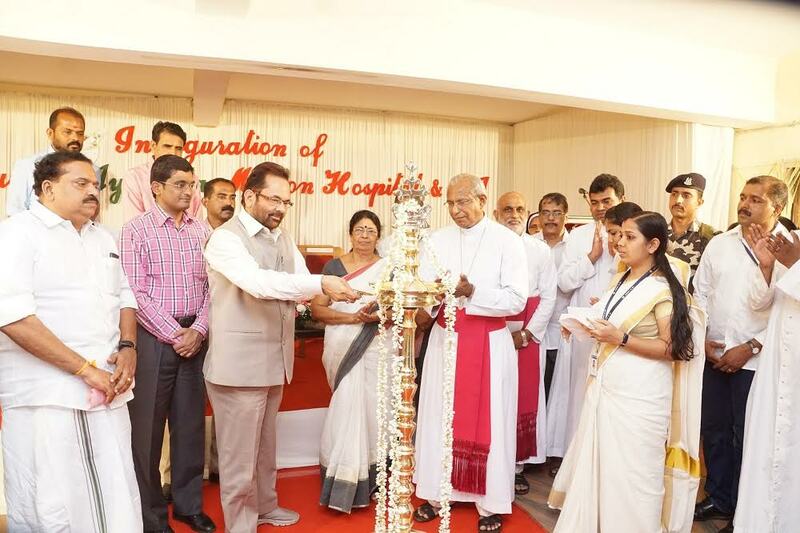 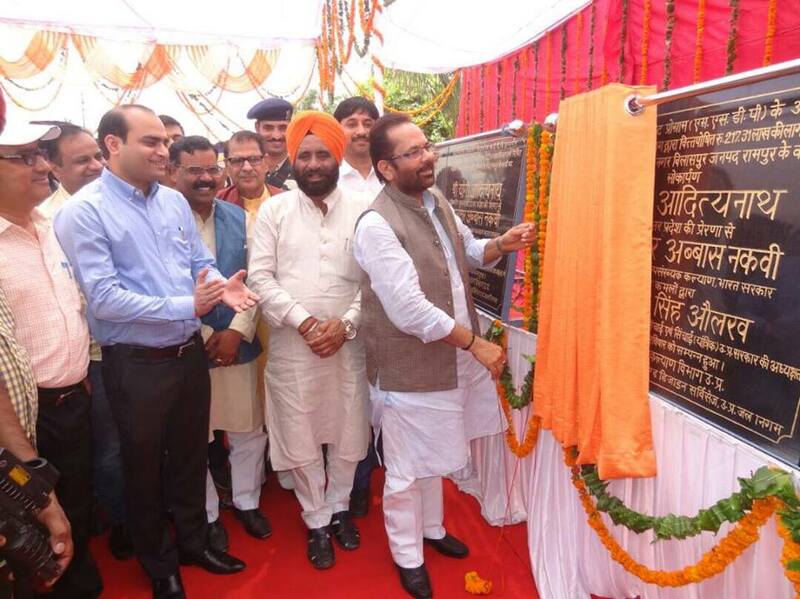 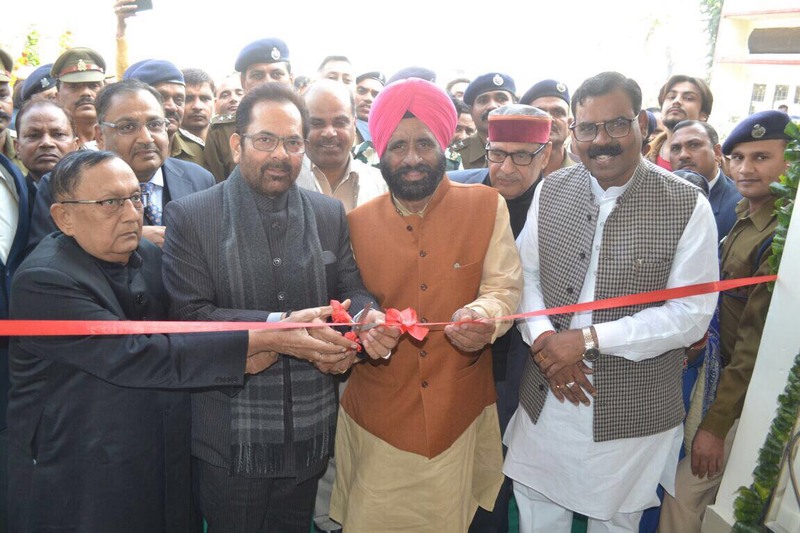 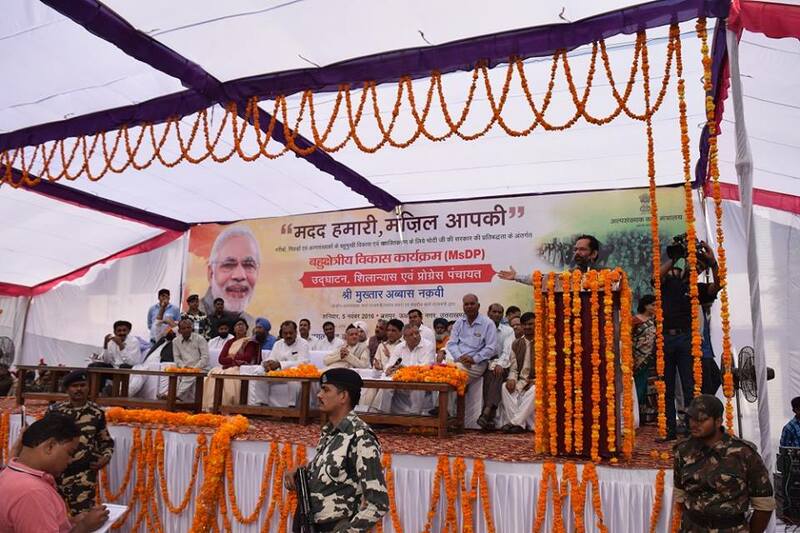 Shri Naqvi said that sending pilgrims through ships will help cut down travel expenses by nearly half as compared to airfares. 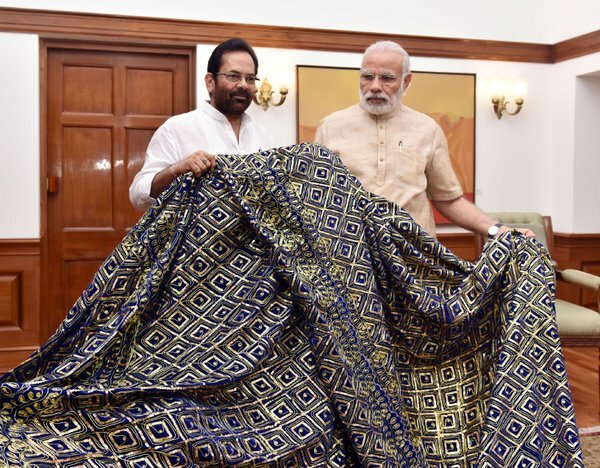 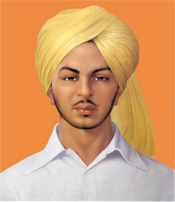 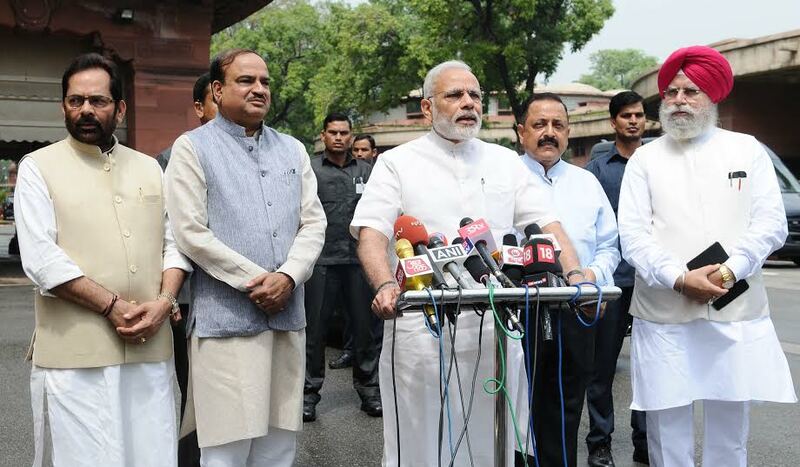 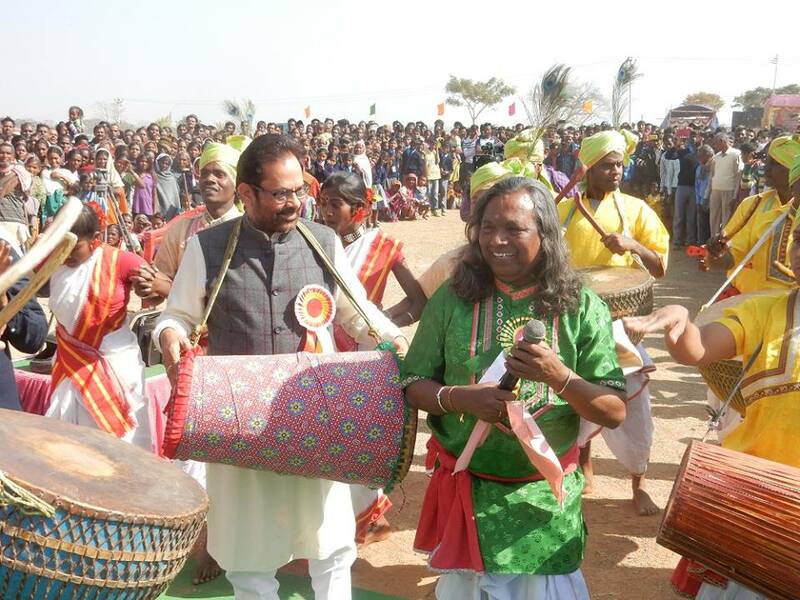 It will be a revolutionary, pro-poor, pilgrim-friendly decision. 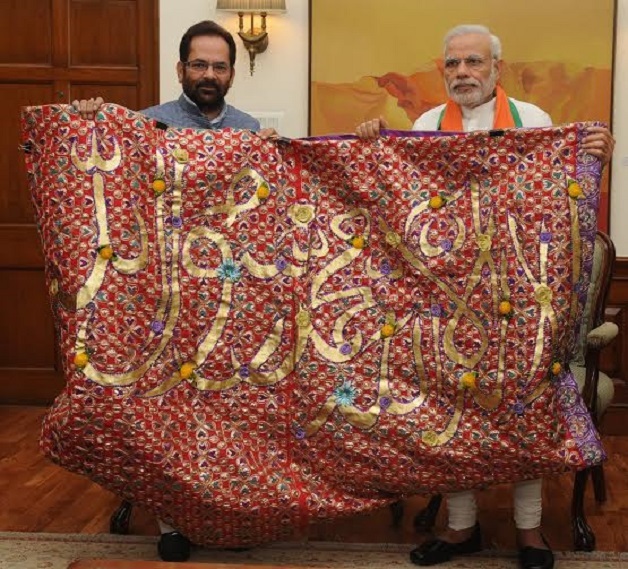 The practice of ferrying Haj pilgrims between Mumbai and Jeddah by waterways was stopped from 1995. 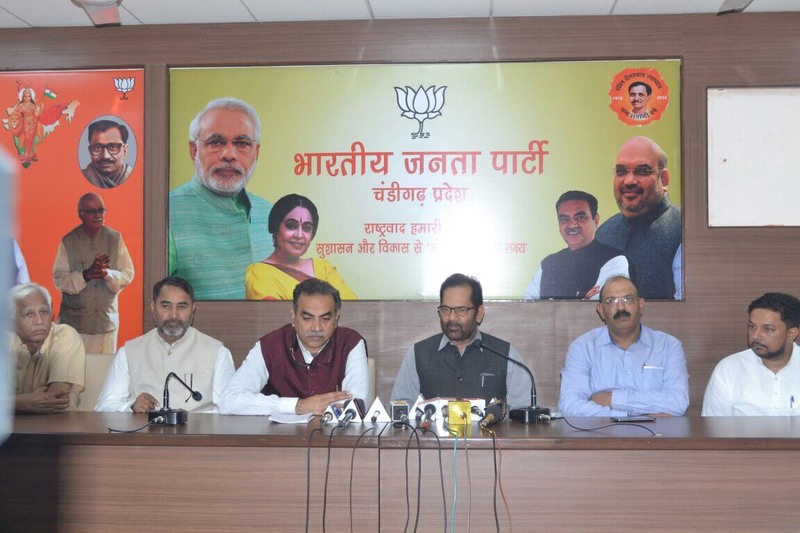 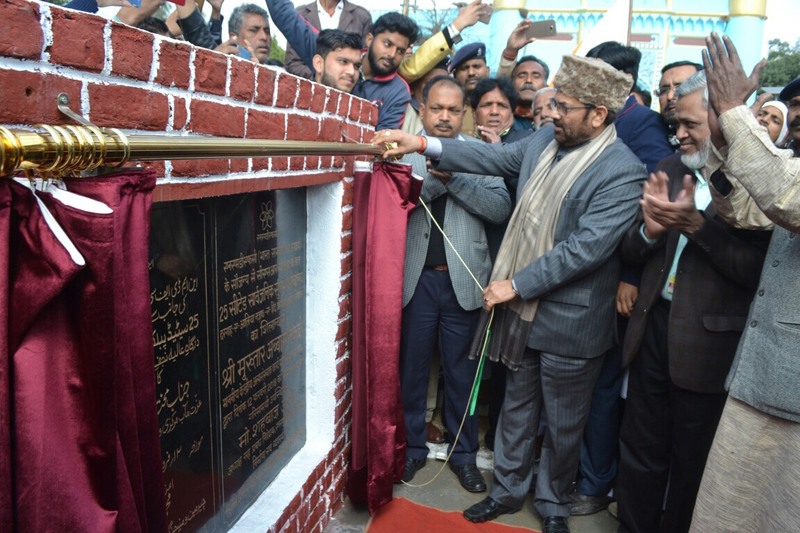 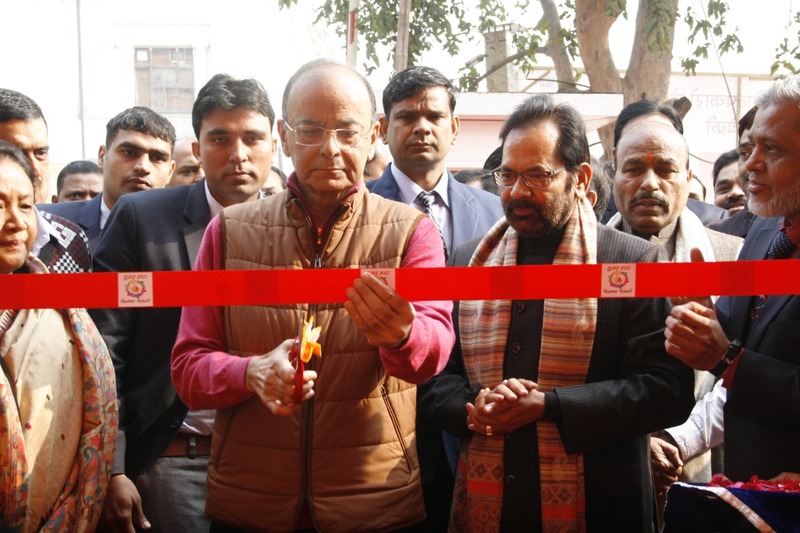 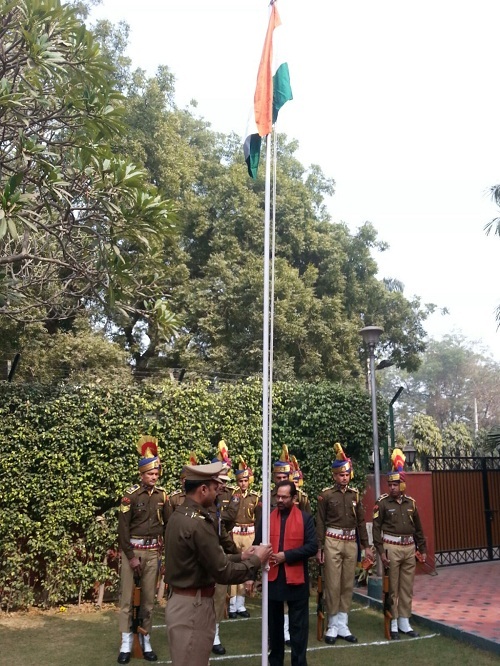 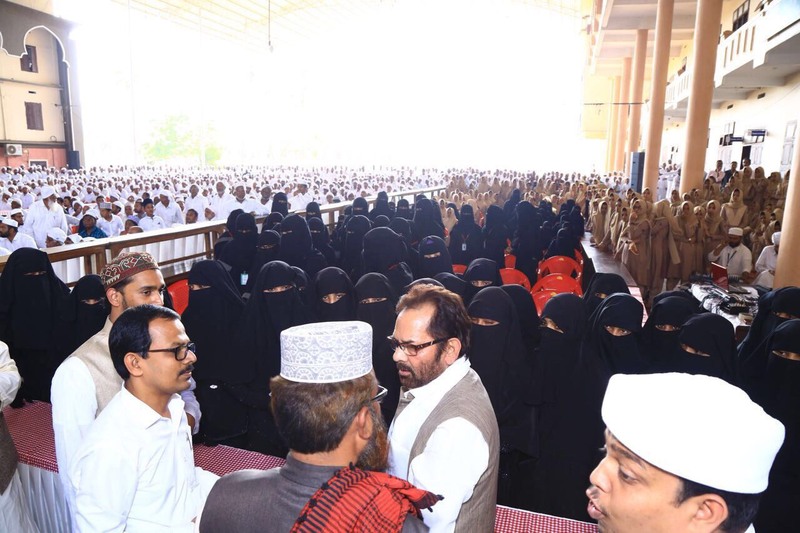 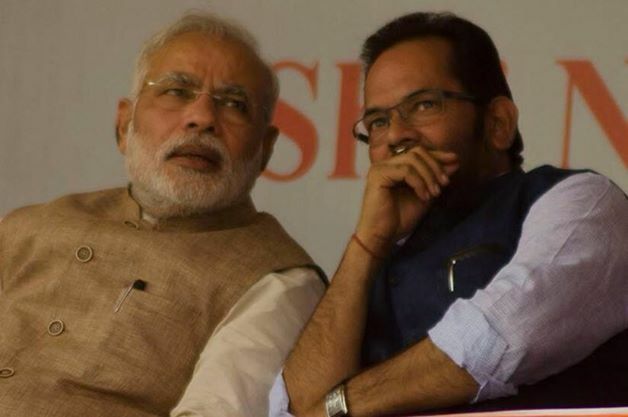 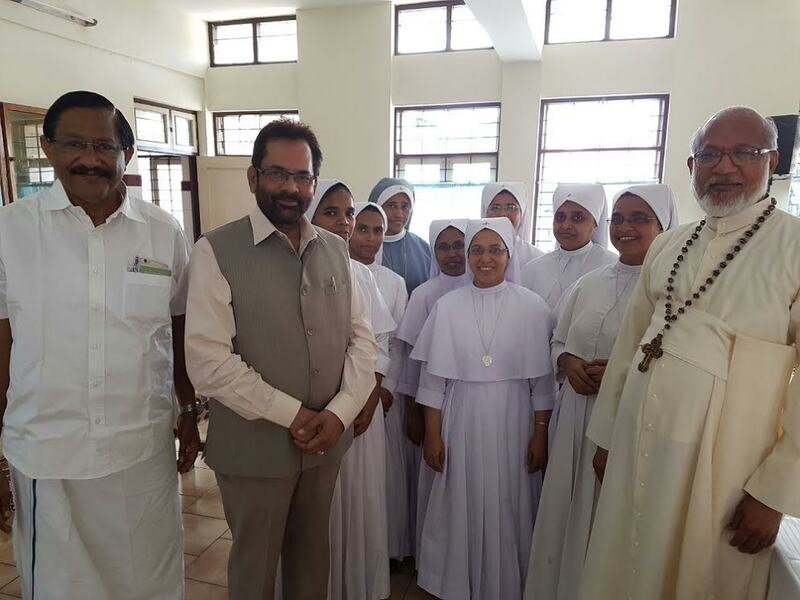 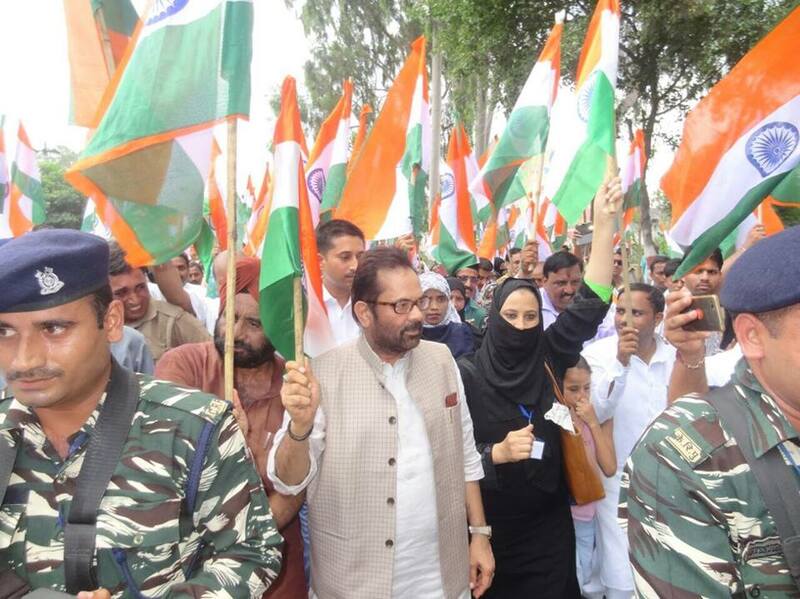 Shri Naqvi said that Ministry of Minority Affairs is in constant touch with Saudi Arabia Government, Haj Committee of India, Air India and other concerned agencies. 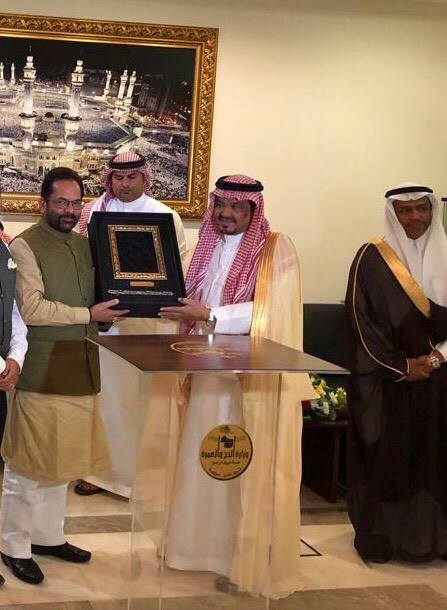 A team of senior officials from the Ministry and Haj Committee of India had visited recently Saudi Arabia to take stock of various facilities. 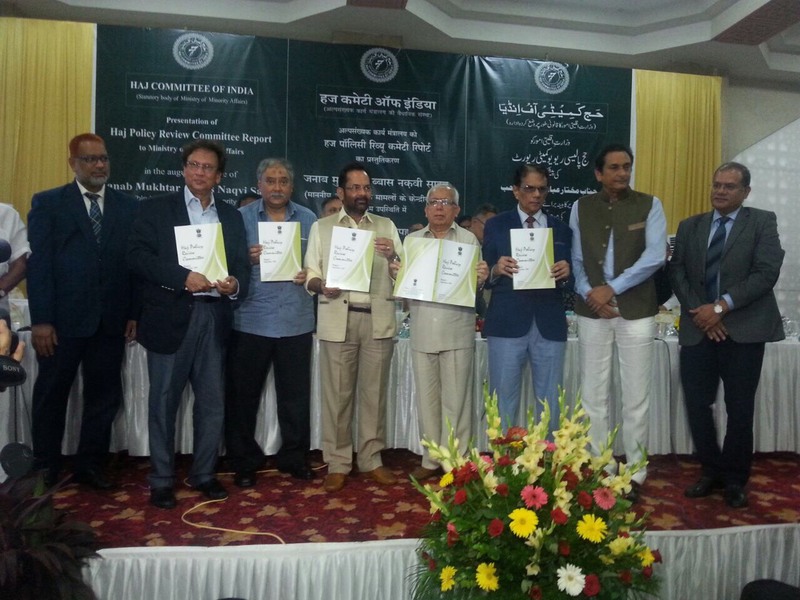 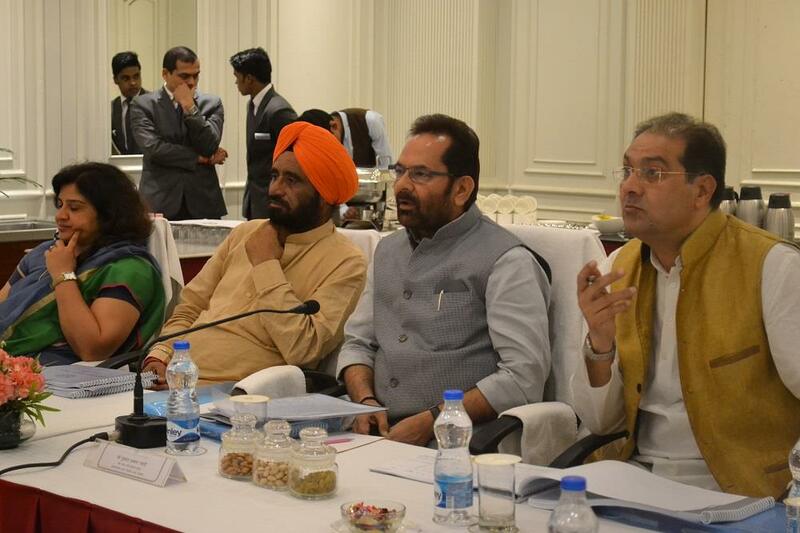 Shri Naqvi said that a high level committee constituted to frame new Haj Policy 2018 will soon submit its report. 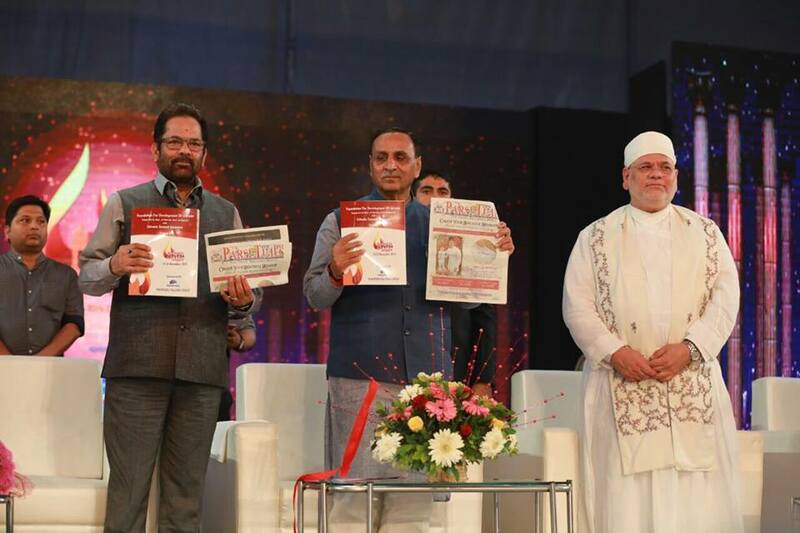 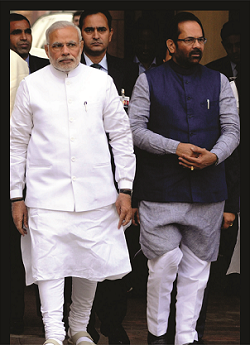 The new Haj Policy is aimed at making entire Haj process easier and transparent. 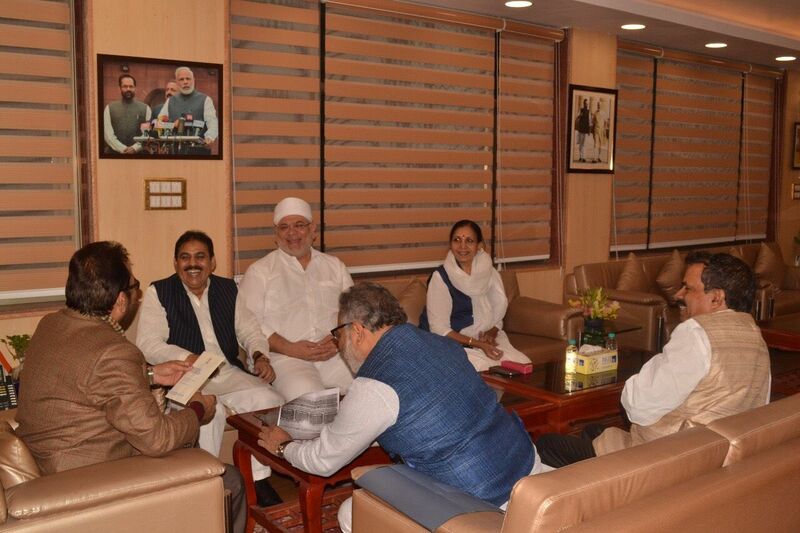 Haj pilgrims’ facilities will be in focus of the new Haj policy.